A slim black-dressed man with white gloves, smiling beside one of his works in front of a wall of photographs… It looks like an usual moment during a vernissage. And suddenly Li Hongbo takes the head of the sculpture and stretchs it into scary or humorous deformations. An hypnotic sight. Welcome in the world of this famous chinese artist. Vernissage on may 12 th 2017 in Angoulême. 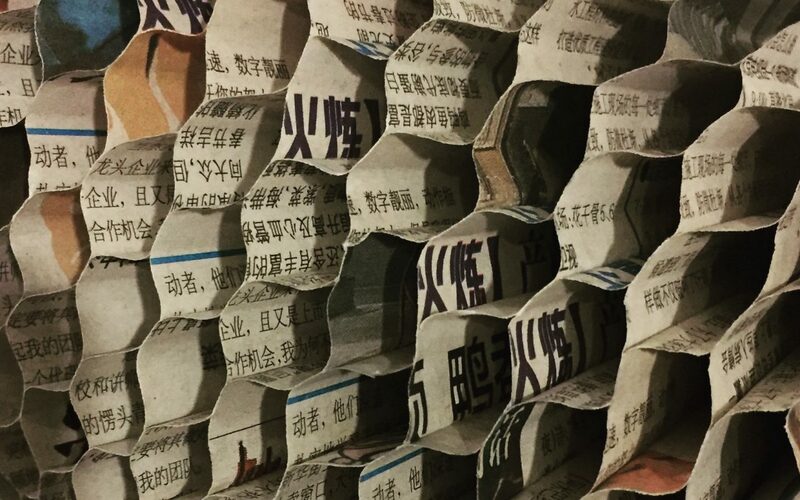 Former editor Li Hongbo has always been fascinated by what he describes as “the endless possibilities of paper” and the know-how of ancestral traditional Chinese paper decorations. 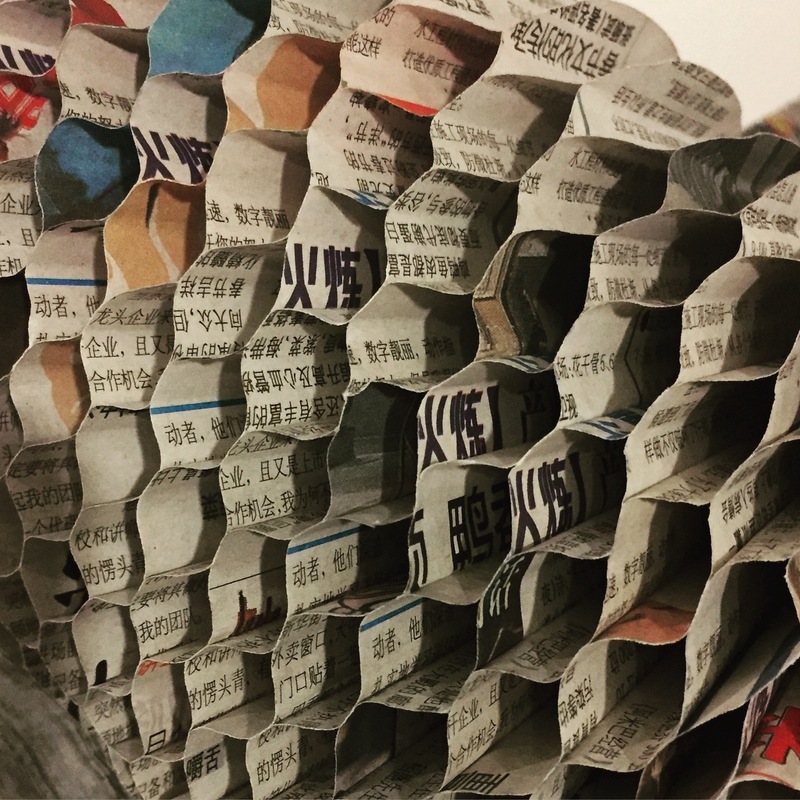 Now artist and designer, Li Hongbo re-imagine paper art in a contemporary way by using an age-old honeycomb technique seen in… traditional paper gourd. His creations of kinetic paper works which expand and retract, bind theses two influences. 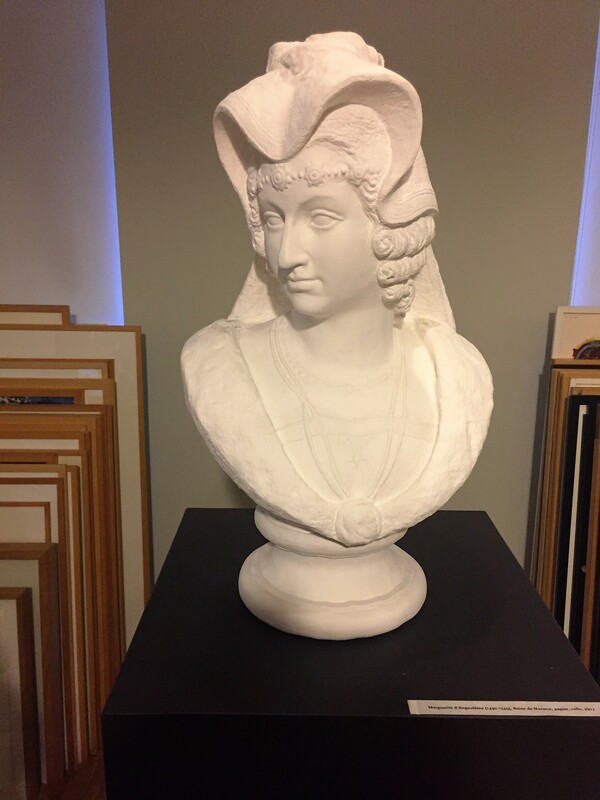 Li Hongbo builds blocks of paper that he carves into human figures, objects, and replicas of Classical Greek and Italian busts. 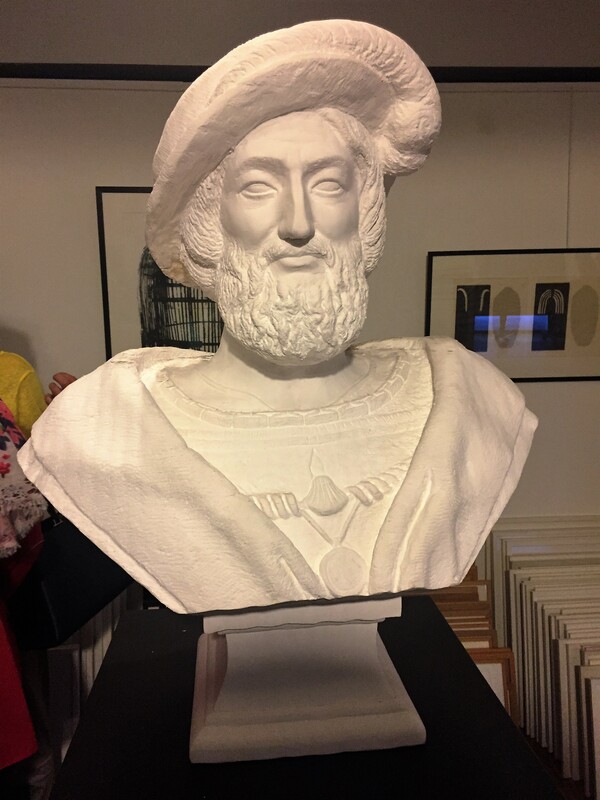 For the Musée du Papier d’Angoulême, he has created two busts of famous historic characters : King François 1er born in Cognac, King of France during “Renaissance” period of XVI century, and his sister Marguerite d’Angoulême, writer and maecenas of artists, Queen of Navarre. 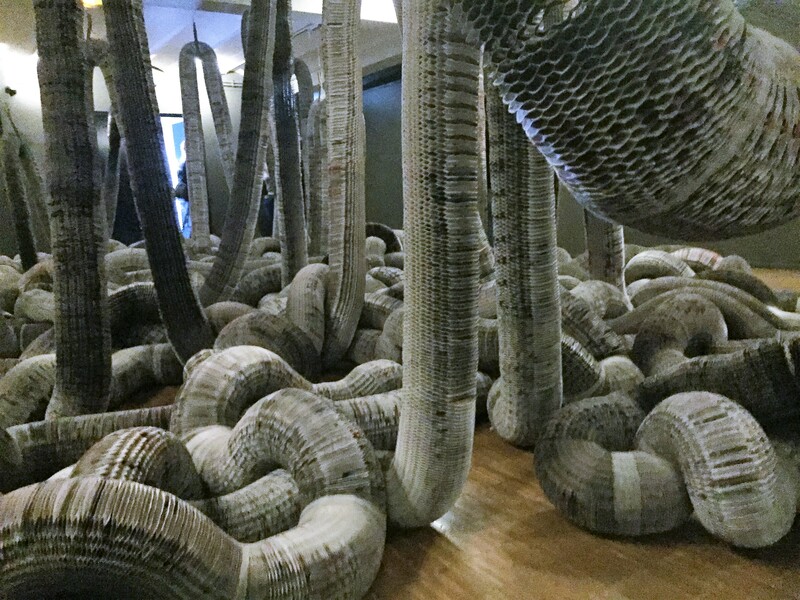 Li Hongbo work has been the subject of solo museum shows around the world as Ocean of Flowers,Eight One Art Museum, Beijing, China (2017)Irons for Ages, Flowers for Days, SCAD Museum of Art, Savannah, GA (2015); Li Hongbo – Out of Paper, Kunstverein Ludwigsburg, Germany (2013), and Angoulême, Quand la sculpture devient créature (2017)au Musée du Papier, the first exhibition in France for the artist. Born and raised in Harlem, from the age of 17 JonOne was captivated by the graffiti scene of New York in the 1980’s. Entirely self-taught, for him the subway cars were moving galleries, and the cityscape was an open museum. 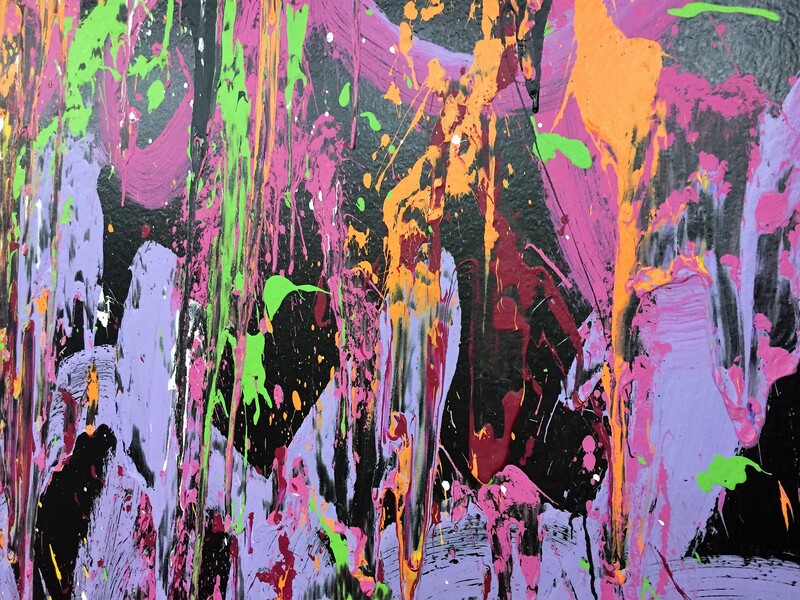 In the late 80’s JonOne came to Paris, where he quickly emerged at the forefront of the street art movement. Since then, he has been featured in dozens of solo and group exhibitions, his works have set records at auctions, and he is present in international galleries. 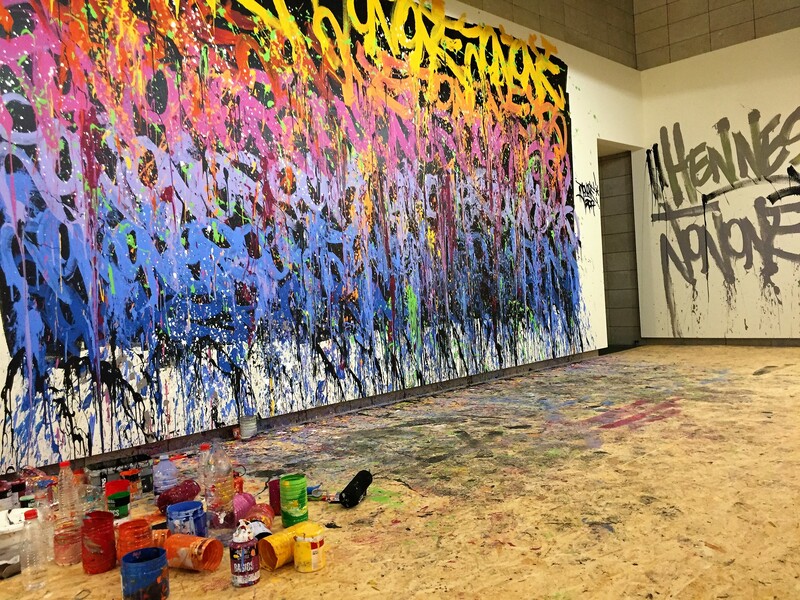 JonOne has been invited by Hennessy to create the design of 2017 VS limited edition, succeeding to Scott Campbell, Ryan McGinness, Shepard Fairey, Os Gemeos, Futura. The artist built layer upon layer of freestyle splashes of color, to give his own vision of the Hennessy VS. He found correspondances between the blend and his own mix of colours. With a tremendous sense of movement and color, his compositions combine freestyle, hand-painted aesthetics with a sense of repetition similar to textile patterns. 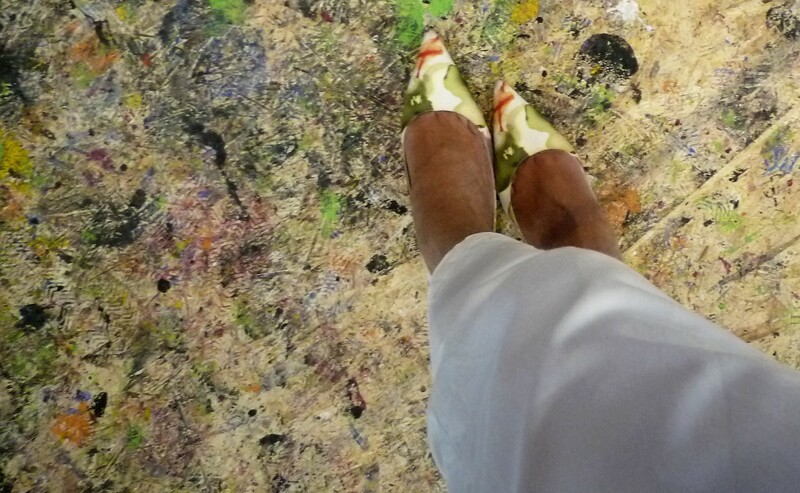 During the vernissage, the spontaneity and kindness of JonOne has seduced all the guests. 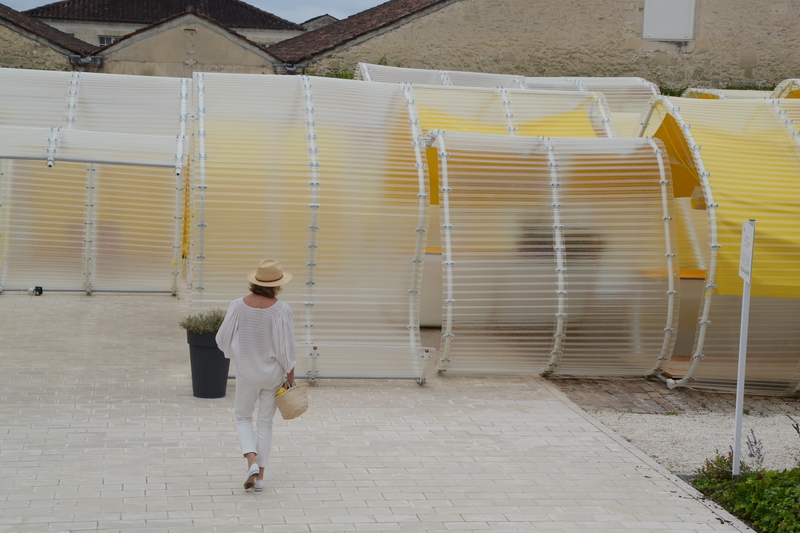 The capsule exhibition takes place into the place Hennessy “Les Visites” – quai Hennessy in Cognac till 4th november. “Lightness has been a constant and integral aspect of our work, and we saw this project as a unique possibility to experiment and explore that concept further,” explained José Selgas and Lucìa Cano. The “Fondation d’entreprise Martell” has opened an original protean structure created by Spanish architects SelgasCano, which occupy the entirety of the vast paved courtyard in front of the Fondation until autumn 2018. This stunning exterior pavilion is composed of a huge metal framework of 31 rows of undulating steel structures covered by a translucent material developed by french brand Onduline. Strong and watertight, the material is permeated by a soft, changing light which creates intriguing iridescent effects. 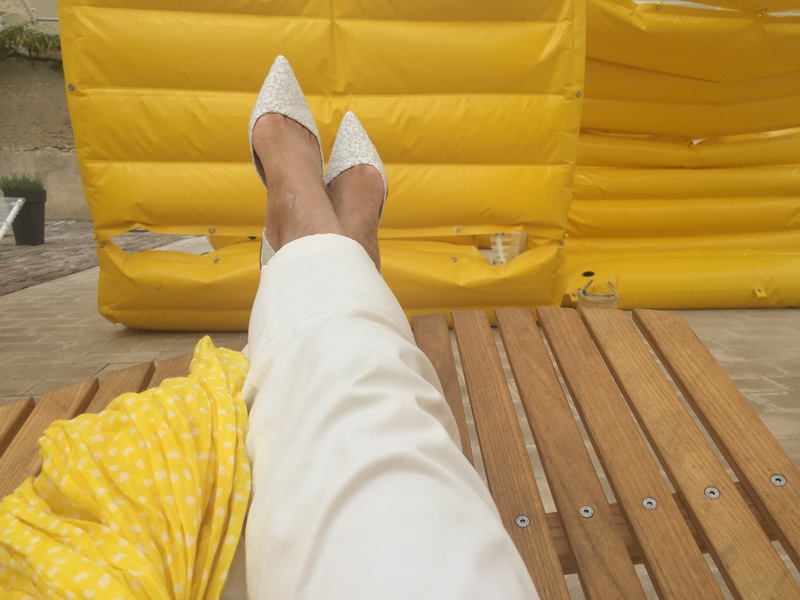 Underneath the pavilion’s archways, 786 yellow PVC cushions filled with water anchor the structures to the ground while also providing places for people to sit, swing, or lie down. The pavilion is designed to house specific activities, events and performance-based experiences at the foundation.